Ford of Canada has announced new incentives for Ford and Lincoln vehicles that start for April 1st 2011. For starts the $1,000 Ford Costco Rebate is back (excluding Focus Fiesta and Ranger). The Recycle Your Ride program is over and the Ford Custom Car Event continues on all cars (excluding the Shelby GT500) and F-Series trucks. On cars the Custom Car Event money can be used as a down payment and on the trucks you have to use the allowance for Ford accessories. The Lincoln MKX, MKS and MKT have 0% financing and 0% leasing rates. The incentives for the Ford Escape include a $3,500 rebate and 5.99% interest rate plus the $500 for the Custom Car Event. 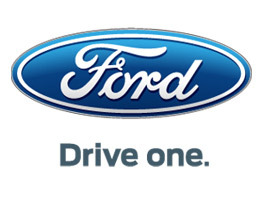 All these incentives can be combined with the Ford XPlan Program. For all you vehicle needs contact me today. The all new 2012 Focus is on the lot here at Mcalpine Ford and available for test drives.